What is Mechanical Computer Aided Engineering (MCAE)?, What is Product Data Management (PDM)? 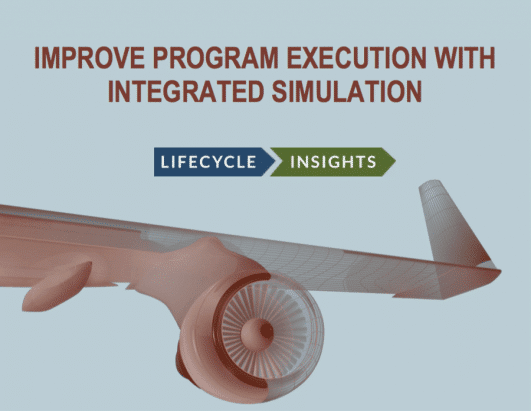 This eBook is of most value to Engineering Managers in companies serving aerospace and defense industries looking to leverage simulation and analysis. The environment for running aerospace and defense programs is only getting more difficult. Funding in many areas is being cut and fewer and smaller projects lead to more competition. Under such circumstances, many companies are looking for ways to improve their program execution. A recent PLM study from Lifecycle Insights’ shows that only 18% of all A&D programs and projects are delivered on time without disruptive shifts in resources. Furthermore, the study shows that increased failures during prototype testing result in decreasing the likelihood of launching programs on time. It is clear that better insight into product, system, and system of systems performance is needed earlier in the program cycle. Of course, organizations use many different technologies to gain insight into product performance at different phases of the program. In concept design, these tools help define feasible bounds of performance. In contract bidding, they enable better-informed teams to bid more accurately, thus protecting profits. In detailed design, they provide engineers guidance on daily decisions, so that designs are more likely to pass prototyping and testing the first time. Even in prototyping and testing, simulation allows teams to understand secondary and tertiary failure modes.